Kapoor Oil Mills has started its journey with an aim to provide a comprehensive range of Dairy Farm Solution to the customers around the globe. With this aim in mind and dedication to attain that, we have succeeded in making our reputation among the top-notch Agriculture Rubber Mats Manufacturers In India. 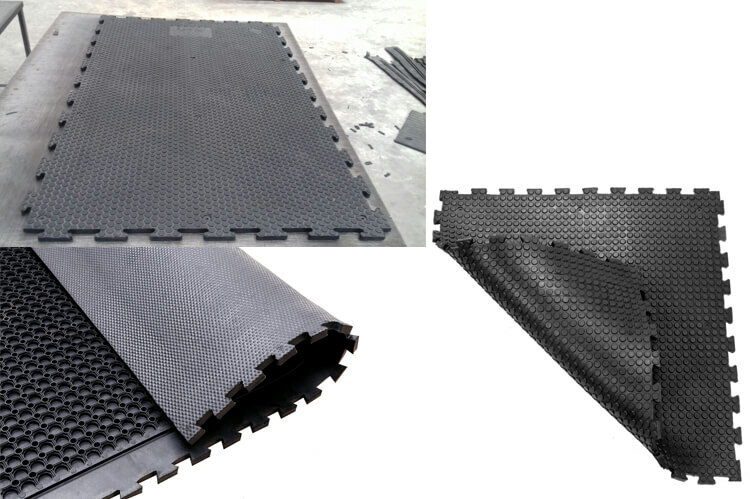 We have all types of farming mats that you require to provide comfort to the cows and buffalos in your farm. According to a study, to lead a healthy lifestyle, it is essential for a cow to walk 1.7 to 2.3 miles on an average. Since the cow barns usually have slippery flooring, this being the reason, it is essential to use Cow Mats for their proper comfort, so that they would not slip while walking on these mats. In order to achieve higher yield in dairy production, it is better to opt for top quality mats because comfortable cows will return more. Apart from that, you can explore much more on our website. And in case you have any query related to any of our offered items, we are just here to solve them. We understand that comfort is utmost important be it a human or an animal, thus, we manufacture mats with the best raw materials to ensure their durability. Our experience has helped us mark our position among the famous Dairy Processing Mats Exporters and Suppliers In India. Drop us an email or call directly to get instant support.